Police are dealing with a collision on the A47 at Eye this morning, Monday July 11. 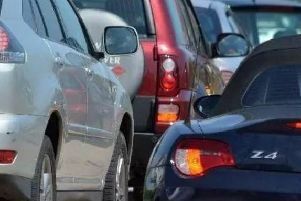 The crash involving a car and a tanker lorry has taken place on The Causeway and there are long delays in the area exacerbated by the ongoing roadworks in the area. The A1139 through Eye is also very heavy. No injuries are reported but both vehicles needed to be recovered after being damaged.